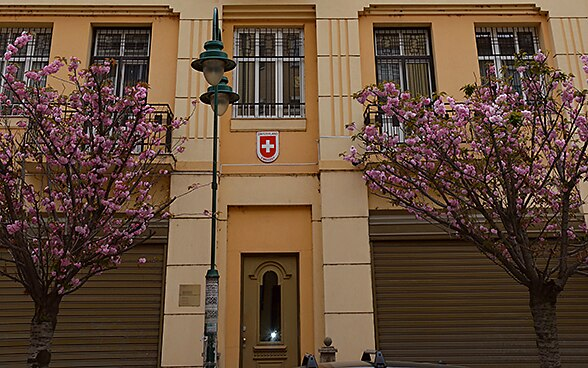 As the official representation of Switzerland, the embassy covers all matters concerning diplomatic relations between the two countries. It represents Swiss interests in the areas of political, economic, financial and legal affairs. Since Summer 2014, the main focus of the embassy is the implementation of the Swiss Cooperation Strategy - Macedonia 2017 - 2020. Fraudsters try on various occasions to obtain information concerning accounts and credit cards, as well as copies of taxpayers' passports by sending e-mails. These e-mails use false sender addresses. Consequently the Federal Tax Administration (FTA) has been improperly listed as the sender in several of these e-mails. The FTA is now issuing a warning not to respond to these e-mails or ones of a similar nature. Any FTA claims are sent to taxpayers solely by letter and indicate the dossier number. The FTA never makes enquiries about taxpayers' confidential information via e-mail. All consular services and visa support for people residing in Macedonia are provided by the Regional Consular Centre Western Balkans in Pristina.